Avoiding Forklift Horror Stories | Hi-Lo Industrial Trucks Company, Inc. There are a lot of videos and horror stories out there surrounding forklifts and the accidents that can happen. Watching just a few of these can put any foreman on edge. In a number of videos, a forklift driver hits a shelf a little too hard or sets something on the shelves that are a little too loose and they all come toppling down. In some of the stories, forklift drivers find themselves tipping and attempt to jump out. The machine tips faster than expected and they end up permanently injured or killed by the crushing weight of the forklift. These traumatic experiences would concern anybody and could bring production to a halt. To avoid experiencing a horror story yourself, consider the following tips. Make sure that shelving is stable. While shelving may seem to be sturdy and stand correctly when pushed against, are you sure that it will hold up to a push from a powerful machine too? Make sure that any shelving is correctly installed and that all hardware is tightened to ensure stability. Leave enough space between shelves and racks. 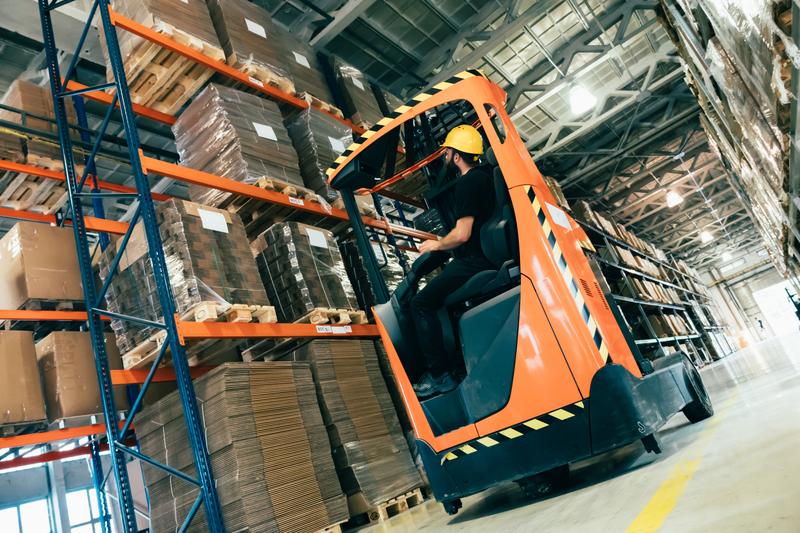 It’s fairly easy to leave enough space to walk through or to fit a forklift, but you need to ensure that shelving is far enough apart to allow forklifts to back up, turn around, and carry large loads through. Properly train forklift operators. All forklift operators should undergo training and certification, but a refresher course will never hurt. Consider holding trainings quarterly or even monthly. Train forklift operators and safe procedures to follow if they find themselves in an accident. Also hold training for other employees to know protocols and procedures in order to ensure their safety and others while around forklifts and other warehouse machinery. Keep up on all forklift maintenance. If your forklift isn’t working right and needs maintenance or repair, get it taken care of right away. A malfunctioning forklift can cause a lot of damage and can be seriously dangerous. Forklifts are incredibly useful, but can also be incredibly dangerous if not used properly. Be sure to train your employees on proper procedures, make enough space in your warehouse, and if your forklift is in need of repair, get in touch with the Hi Lo Industrial Trucks Co. industry professionals for service, rentals, and parts right away.